English sparkling wine is a world-class product – and one which will keep on gaining plaudits thanks to continued investment, vine age and support from patriotic wine drinkers. Susie Barrie MW looks at the progress so far. It’s hard to believe that, in just over 25 years, the English sparkling wine industry has come so far. Only in the late 1980s were Chardonnay vines planted alongside Pinot Noir and Pinot Meunier in West Sussex by a pioneering couple from Chicago determined to be the first to make sparkling wine to rival that of Champagne. Nyetimber was born and a revolution began. Unquestionably, that change has now happened and sparkling wine is the style that has led the way. Today, Chardonnay and Pinot Noir are the two most widely planted varieties in England and, together with Pinot Meunier, they account for approximately half of all plantings. About two thirds of everything England produces is sparkling and that is only set to grow as new vineyards come on stream. There is now widespread consensus that English sparkling wine is a world-class product. Its growing prominence at everything from state banquets to prestigious international awards and high-profile restaurant lists the world over (including France) is further evidence of the same. This recent rise is partly the result of considerable investment – in many cases several million pounds – from successful businessmen looking for a project as they approach retirement. Every industry needs its financial bedrock and such capital investment and long-term vision are helping to create the foundation for a profitable and sustainable business. This is, of course, exactly the strategic approach that the English sparkling wine industry needed at a key stage in its development. It has led to money being ploughed into every aspect of the business – from detailed geological studies to map soil types, to the most advanced winery equipment and even French consultants from Champagne to make the wines. 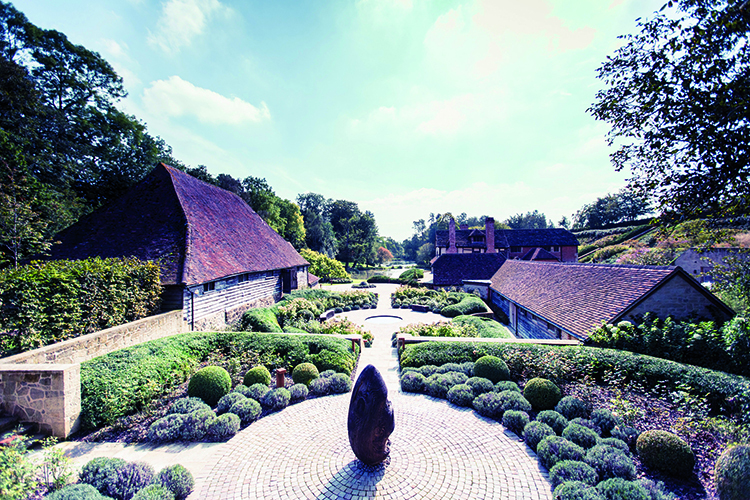 Many of the better wineries, however, now employ graduates from Sussex’s Plumpton College who are well travelled and bring a fresh, modern outlook to this most traditional of arts. 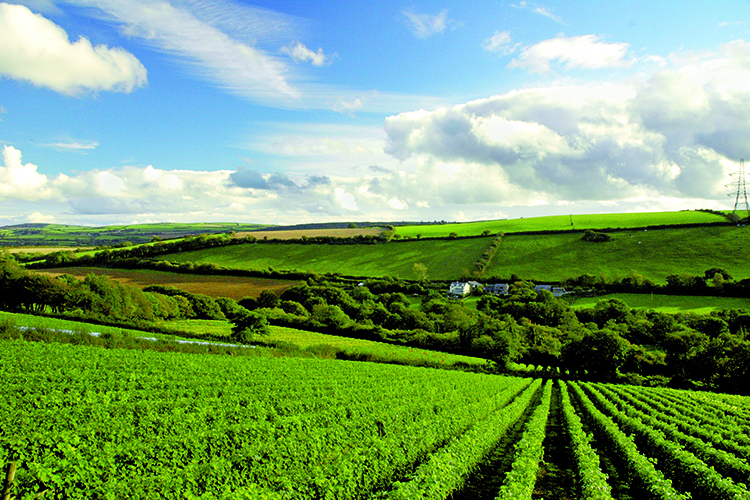 Most of the best wines are being produced in the south of England, though specific regional differences between Kent, Sussex, Hampshire, Dorset and Cornwall are indefinable. It’s also true to say that several producers source grapes from more than one county, making those differences even less discernible. Equally, although chalk and greensand are the most sought-after soil types, in combination with a south-facing exposure, the understanding of individual terroirs is some way off. As Ben Murray of newcomer Henners says of the concept, ‘we’re only just scratching the surface’. House style, grape blend and vintage are therefore a more reliable yardstick. Most wines are currently vintage wines and, apart from 2012, which was a shocker for almost everyone, recent years have been good with 2009 producing deliciously full and sumptuous wines, 2010 offering more ageing potential, and the small but ripe harvest of 2011 giving concentration and texture. One issue that exists is a lack of reserve wines. This is due either to pressure to bring wines to market, lack of storage facilities, or simply a dearth of back vintages. Not only can up to 15% of reserve wine legally be added to vintage-dated wines to lend complexity to the final blend, reserve wines also allow consistent non-vintage wines to be made, which is especially important in difficult vintages. As Hattingley Valley’s winemaker Emma Rice says: ‘2012 spurred us on to do it’ and although more and more producers are starting to build up stocks it would be good to see everyone doing so. One of the most exciting things about well- known producers such as Nyetimber, Ridgeview, Chapel Down, Camel Valley and Denbies is the sense that none of them is standing still. From investment in land and new plantings, to improved winemaking and visitor facilities, and particularly the development of new prestige wines, there is something noteworthy happening at each one. Nyetimber was the pioneer in the early days and it remains a leading light. Although the wines have gone through ups and downs in the past, since Cherie Spriggs and Brad Greatrix took over as winemaker and vineyard manager in 2007 the estate has produced some of its best vintages to date. For me, it is the overall quality of the range and the ageability of Nyetimber’s best wines that singles the estate out, as the current Blanc de Blancs 2007 demonstrates. Nyetimber has kept reserve wines since 2007 and from the 2011 release the Classic Cuvée will become a non-vintage wine for the first time. There is also a new wine to look out for (yet to be released) from the superb 2009 vintage, with 3% barrel fermentation in new oak. Ridgeview has ploughed a different furrow. The late Mike Roberts’ mantra, as his daughter-in-law Mardi explains, was ‘quality, consistency, value’. Although it owns vines, the estate’s contract winemaking business also sources grapes from across the south of England with which to make a broad range of sparkling wines that are consistently good and often excellent. The company has plans for expansion that will double production under the Ridgeview label and increase exports, which already stand at 20%, making it one of the labels you are most likely to find outside the UK. If you’re looking to visit an English vineyard then Chapel Down, Camel Valley and Denbies ought to be at the top of your list as they all have excellent tourist facilities. Denbies offers everything from a vineyard train tour to a farm shop; Chapel Down has a superb restaurant, The Swan; and Camel Valley is a beautiful place to enjoy a guided tour and a glass of wine. At Chapel Down, which prides itself in offering ‘a wine for everyone’, you’ll also find dynamic winemaker Josh Donaghay-Spire doing impressive things with Chardonnay. and pushing the boundaries with both sparkling and still wines. As for the newer producers, there are so many exciting names cropping up all the time that it is almost impossible to know where to begin. Understandably, the longer-established members of this group make more consistent, better wines, while many of the very recent estates are on their first vintage or, like the hugely ambitious Rathfinny project in East Sussex, have yet to release a wine. Gusbourne has long been a favourite of mine but when the estate became part of the AIM market of the London Stock Exchange in 2013 I admit to concerns that the characterful and very English style of the wines would suffer. Fortunately that doesn’t seem to be the case – no doubt helped by the fact that winemaker Charlie Holland moved to Gusbourne from Ridgeview (where he had been making the Gusbourne wines) and a new winery was built next to the vineyards giving greater connectivity between the two. There are now plans to further develop and extend the Appledore site in to accommodate increased production and tourism. Wiston and Hattingley Valley are two key names to look out for. Wiston’s talented (and DWWA 2014 Trophy-winning) winemaker Dermot Sugrue admits he has a preferred soil type: ‘I’m a chalkista,’ he enthuses. His wines show incredible refinement allied to the delightful texture and complexity he achieves through low dosage and skilful use of oak. The wines are consistently exceptional. Sugrue also makes a wine from leased vines under his own label, Sugrue Pierre, which is lifted and elegant, and again shows his talent with oak. At Hattingley, 2014 UK Winemaker of the Year Emma Rice and her team run the UK’s largest contract winemaking business as well as making a range of wines under the Hattingley Valley label. The style is attractively generous and there was a huge shift upwards in quality between 2010 (the first vintage) and 2011. Rice also makes wines for Court Garden, whose 2010 Blanc de Blancs and Noirs wines are particularly impressive. Over in Dorset both Furleigh and Langham are estates to watch. Ian Edwards at Furleigh (2012 UK Winemaker of the Year) turned a former dairy farm into a vineyard and winery, producing his first wine in 2009. Edwards’ cuvées are incredibly well made and show beautiful richness and intensity. He’s also making wine for his neighbours Steven and Bella Spurrier at Bride Valley (see feature in the April issue), this time with a pure, fresh and delicate character to match Spurrier’s desire for an ‘aperitif-style’ wine. In addition to these privately owned estates, some major UK retailers are also getting in on the act, with Waitrose launching its own very credible sparkling wine last year from the Leckford estate, and Laithwaite’s Family Vineyards making some excellent wines to sell through its business. Of the rest; Hambledon, Henners, Hindleap, Hush Heath, Jenkyn Place and Upperton are all names that didn’t quite make it into my shortlist of recommended wines (see below), but they are certainly producers worthy of attention. It may not square neatly with the stereotypical English reserve to start championing our own home-grown produce – especially when it’s wine. But English sparkling wine is an increasingly exciting proposition with a growing number of bottles to sell to the world. Given the quality and promise out there, it couldn’t be further from a joke: it’s something all wine lovers should start shouting about in earnest.